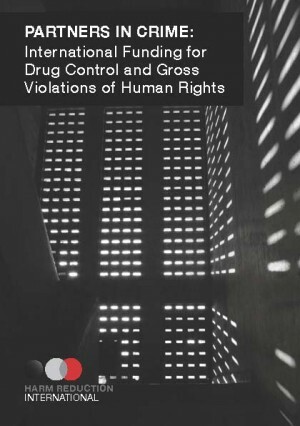 Published in June 2012 -“Partners in Crime: International Funding for Drug Control and Gross Violations of Human Rights” documents how millions of dollars in drug enforcement funding and technical assistance are spent in countries with grave human rights concerns. Donor states include the United States, Australia Germany, France, the United Kingdom, Sweden and the European Union. Human rights abuses in the context of drug enforcement are well documented, but in the name of drug control, donor states are routinely supporting practices in other countries that they themselves regard as morally reprehensible and illegal, including executions, arbitrary detention, slave labour and cruel, inhuman and degrading treatment, sometimes amounting to torture. Using the examples of the death penalty and abusive drug detention centres, this report shows just how little regard is given to human rights in drug enforcement funding and co-operation, including when such funds are passed through the United Nations.